Lewis Rice attorneys Kirk A. Damman and Michael J. Hickey presented at the National Business Institute's (NBI's) video webcast "Copyright Law 101" on April 26, 2013. In the full-day webcast, Kirk and Michaele discussed principles of copyright law, the logistics of the copyright life cycle, legal ethics issues related to copyright, and the fair use defense. They also commented on copyright licensing provisions and aspects of copyright infringement litigation. Kirk practices in all areas of intellectual property law, with an emphasis on helping startup and growing companies begin to manage, license, and gain value from their intellectual property and obtain protection for their most important ideas and products. He also has co-authored two books on patent law and is a mentor for local startups through the Innovative Volunteer Mentoring Service. 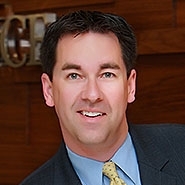 Michael focuses his practice on intellectual property litigation, where he represents inventors and companies in diverse areas of technology including computer and telecommunications, medical devices, DNA and genomics research, chemical applications, and exercise equipment. 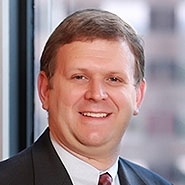 His practice covers patent and trademark prosecution as well as significant commercial litigation and appellate work. Throughout our Firm's history, Lewis, Rice & Fingersh attorneys have made excellence the foundation of our practice. Founded in 1909, a century of service has given us the experience, resources and tools to serve your dynamic needs. Our diverse team of more than 150 lawyers provides counsel and solutions for the challenges facing local, regional and national businesses, as well as individuals and families. We have offices in St. Louis and Kansas City, and elsewhere in Missouri, Illinois and Kansas.